The map shows which genes are switched on where in the cerebral cortex of mice. It covers all genes from across the whole genome in unprecedented detail. The data obtained has been made freely available as an online research resource. The resource is expected to assist future studies seeking to understand the way the mammalian brain is organised. ‘The brain is the most mysterious of organs. If we are to understand the way it works, we must understand its complex structure,’ says Professor Chris Ponting of the MRC Functional Genomics Unit at Oxford University, who led the work with Professor Zoltán Molnár, also at Oxford, and Dr Elliott Margulies of the National Human Genome Research Institute. The study is published in the journal Neuron and was also funded in the UK by the Medical Research Council and the Wellcome Trust, and by the National Institutes for Health in the USA. The researchers used a new sequencing technology called RNAseq, a technology related to the latest DNA sequencers used to decode our genomes, to map gene activity in the different layers of the mouse cerebral cortex. RNAs are similar molecules to DNA, but are only produced in a cell when a gene is active. The DNA code for that gene is then read off and an equivalent RNA molecule is produced. So the RNAseq technique works – not by sequencing DNA to read our static genetic code – but by sequencing all the RNA molecules in a tissue sample to detect which genes are active. Which genes are active can indicate which biological processes are occurring and are important in those cells. The cerebral cortex is the largest part of mammals’ brains and is where memory, sensory perception, language and higher-order cognitive functions are understood to reside. It’s been known to have a layered structure since the 19th century, with each of the six layers differing in the types of neurons and connections seen there. By determining the gene activity in the six layers, it should be possible to start connecting brain anatomy, genetics and disease processes with much greater precision. ‘The structures of each layer are very different and we see different repertoires of genes expressed in them,’ explains Professor Ponting. The research team found that over half of the genes expressed in the mouse brain showed different levels of activity in different layers. This is likely to indicate the areas of the brain in which these genes play an important role. ‘It’s been an eye-opener for an anatomist like me. We can now look at the brain completely differently,’ says Professor Zoltán Molnár of the Department of Physiology, Anatomy and Genetics at Oxford University. The findings make it possible to look at where genes previously associated with susceptibility to different diseases act. Genes linked to Parkinson’s disease, for example, are particularly active in layer 5. This is just a correlation, and does not necessarily imply causation, but it does indicate the new research avenues that are opened up by the study. The technique is also able to detect ‘noncoding RNAs’, ie RNAs produced from DNA in between known genes that doesn’t code for proteins but may play a critical role in regulating genes and controlling biological processes. The approach also reveals RNAs which, once read off from our DNA code, are stitched together in different ways through a process called ‘alternative splicing’. The process results in different proteins that can have different biological roles, despite coming from the same gene. Many of the alternatively spliced genes identified showed different distributions of the alternative forms between layers. This includes the Mtap4 gene, which has been identified as a candidate gene that could be involved in Alzheimer’s disease. Professor Ponting sees this work as a step towards getting finer and finer detail about gene activity in the brain, as sequencing becomes possible with smaller and smaller samples. 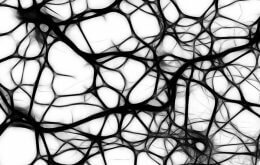 ‘We can look to move from structural layers to different types of neuronal cells and perhaps down to individual neural circuits and cells,’ he suggests. The researchers now hope to do similar studies with human brain tissue samples. Studies in mouse models of human diseases like Parkinson’s could also pinpoint differences in gene activity which are important for understanding the biological processes behind those conditions. RNAseq is able to sequence all the RNA molecules produced in a tissue sample, and determine the different amounts in which they are made. RNAs are made when our DNA code is read out. Determining the RNAs that are present in a sample reveal which genes are switched on, or active. The amount made of each RNA reveals the level of that gene activity. RNAseq allows this information on gene activity to be gathered across the whole of the genome with great sensitivity and accuracy. A previous project, the Allen Mouse Brain Atlas, has sought to create gene expression maps for the mouse brain using microarray technology, not sequencing. It started in 2003, well before this work, and has been a significant undertaking involving many research groups. Yet to date, it has not succeeded in mapping all known genes and the approach can’t always detect noncoding RNAs or alternative splicing. The study reported here can be seen as an example of how new techniques and approaches can lead to a reduction of the number of animals used in research. This bank of data, made available to all online, was obtained from eight normal adult male lab mice. Previous methods would have required dedicated work in many laboratories over a long period to get data that approached the same level of coverage of the genome, potentially using many times the number of animals. The paper ‘A transcriptomic atlas of mouse neocortical layers’ was published in the journal Neuron on 24 August 2011. With support from a Marshall Scholarship. Oxford University’s Medical Sciences Division is recognized internationally for its outstanding research and teaching, attracting the brightest minds from all over the world. It is one of the largest biomedical research centres in Europe, with over 2,500 people involved in research and more than 2,800 students, and brings in around two-thirds of Oxford University’s external research income. Listed by itself, that would make it the fifth largest university in the UK in terms of research grants and contracts. A great strength of Oxford medicine is its long-standing network of clinical research units in Asia and Africa, enabling world-leading research on the most pressing global health challenges such as malaria, TB, HIV/AIDS and flu. Oxford is also renowned for its large-scale studies, including UK Biobank and the Million Women Study, which examine the role of factors such as smoking, alcohol and diet on cancer, heart disease and other conditions.